Physicians 2.0: ¡Viva La Evolución! Rick Park, MD CEO of CityMD opens up the show at his headquarters - Thanks CityMD for your support! This group is dedicated to advancing innovations that focus on improving patient care with the active involvement of Patients, Physicians, Nurses, Administrators, Engineers, and even Lawyers. If your interest is in improving the practice and performance of medicine, than this is the meetup for you. Eugene Borukovich started the New York Health Innovation Group in 2008. Not long after he affiliated with the Health 2.0 organization and became the first local chapter of the new conference company. Our chapter has since grown to become the largest healthcare innovation focused meetup in the world, running events that focus on specific topics such as the impact of social media in Healthcare or our Startup pitch contest called "Pitch Yourself into the Shark Tank." Hundreds of investments, partnerships and collaborations have come from our events, hackathons, contests, and our crowdfunding platform, MedStartr.com. A few of the companies that have presented before they made it anywhere: Phreesia, Zweena, ZocDoc, HelloHealth, Medivo (now Prognos.ai), Avado (bought by WebMD), YourNurseIsOn (acquired), DrChrono, EpionHealth, Healthrageous (acquired), WellApps (acquired), Misfit (acquired for 260M), DocGraph, Register Patient, and over three hundred more as well as StartupHealth and Bluepring health and five other accelerators. 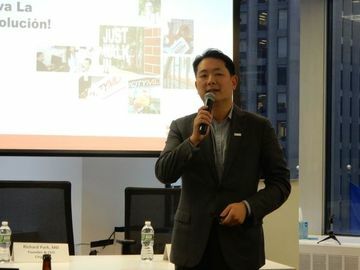 We have hosted our own MedStartr Momentum conferences (2015, 2016), Rise of the Health Machines (2017), HealthCamp, Susannah Fox, Todd Park, Bryan Sivak, Regina Holliday, Esther Dyson, Todd Pietri, and representatives from every major Healthcare Venture Capital and Angel group in the Northeast. The net result is a community of health innovators, accelerators, venture capitalists, hospitals, doctors, patients programmers, and more with a can do attitude that is changing healthcare every day. We organize this group as our way of saying thanks for helping us launch MedStartr.com ...but this isn't about us, it is what our thousands of members, creators and adopters of healthcare innovation can do for healthcare. Mostly what we have are the leaders of the NYC healthcare innovation scene. By putting us all together in one place, we are creating the future of healthcare and making New York the healthcare innovation capital of the world. 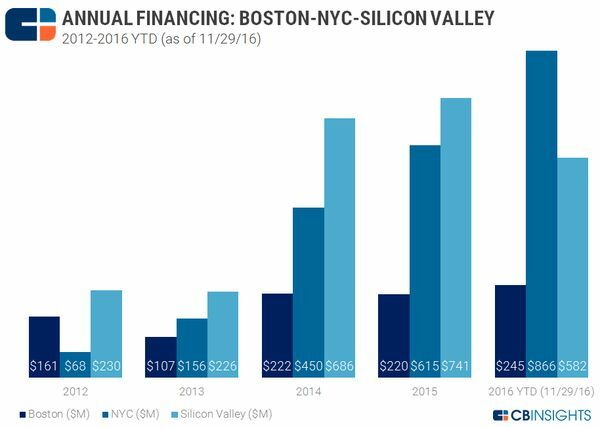 Here is what has happened since we started this group actually: The middle bar is NYC and it shows how much funding has gone into health tech innovations in Boston, NYC, and Silicon Valley over the past few years. It was even worse in 2008 when we started, not even a tenth of Silicon Valley. Now we lead by 49%. Is it due to this meetup group? Maybe. Fact is that when people get together new ideas happen and we get people together. 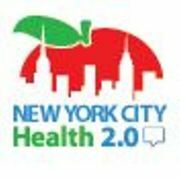 Now there are a dozen healthcare innovation meetup groups in NYC and it only adds to the momentum. We are always looking for start-ups and individuals to present the ideas or products they are passionate about. Please be welcome to join the conversation, propose a topic, or suggest an alternative format. We are a largely user-driven group, so suggest a topic and we will do the most popular event. We also enable more established companies to get their message out to the healthcare innovation community through sponsorship and speaking. So if there is an event, challenge, or product release you would like to talk about, please contact us. -Alex Fair (@alexbfair), Donna Cusano (@deetelecare), Anthony Manson (@DigitalRants), Mimi Rosenfeld and our awesome volunteers and event organizers! Call: 530.MEDSTAR (530.633.7827) or email us here.